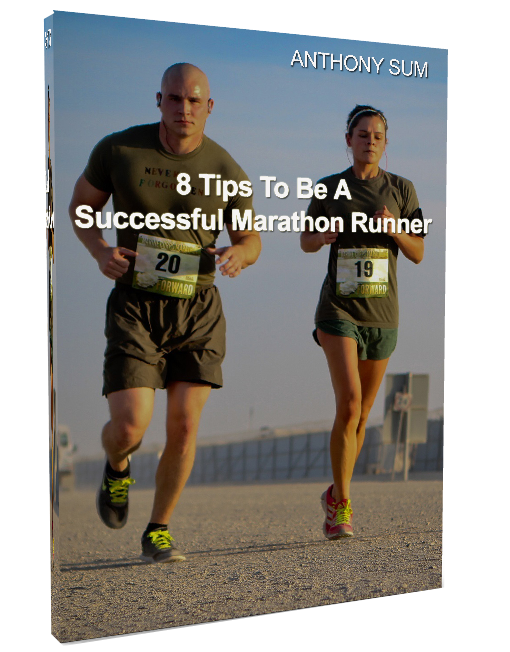 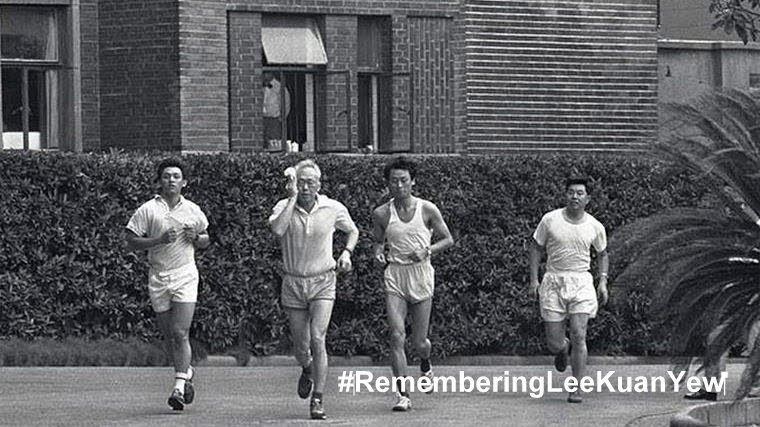 + These runs are part of (paid) structured marathon training programs. 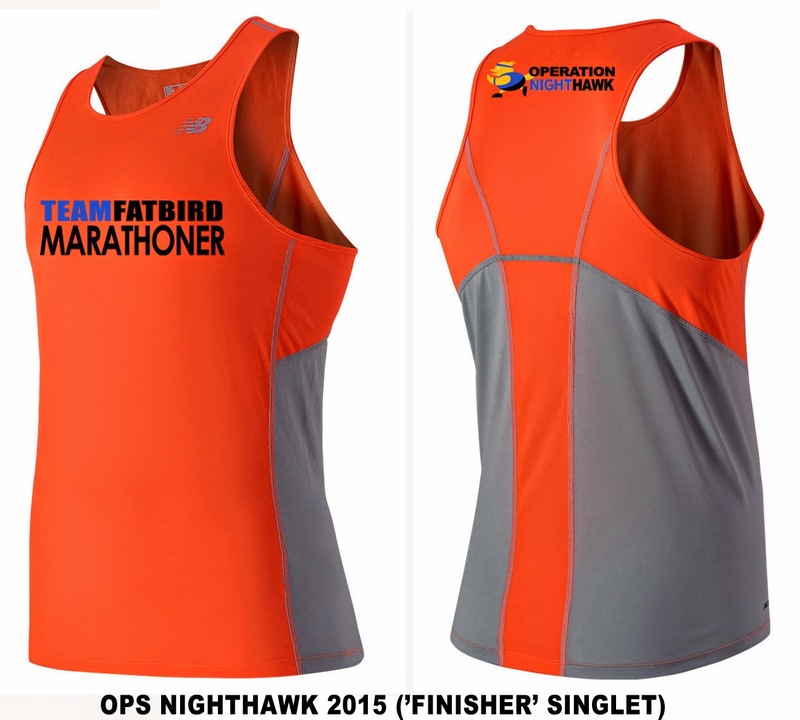 Look out for their registration on the FatBird facebook or blog. 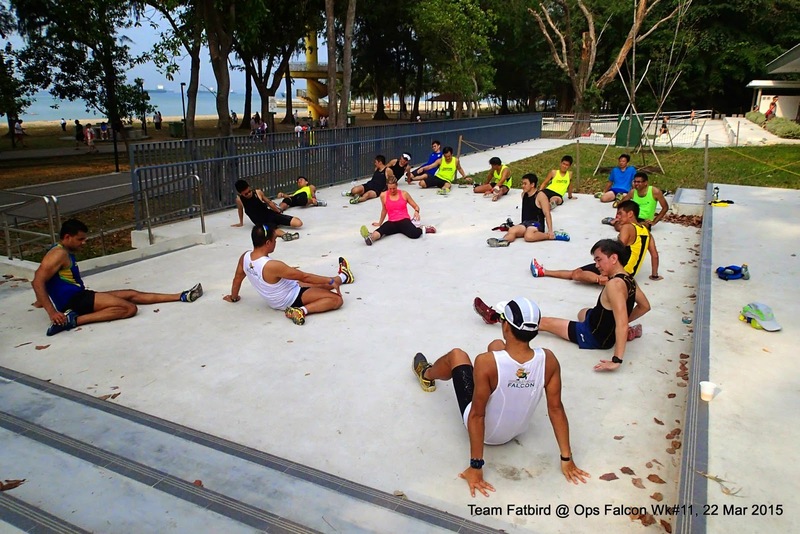 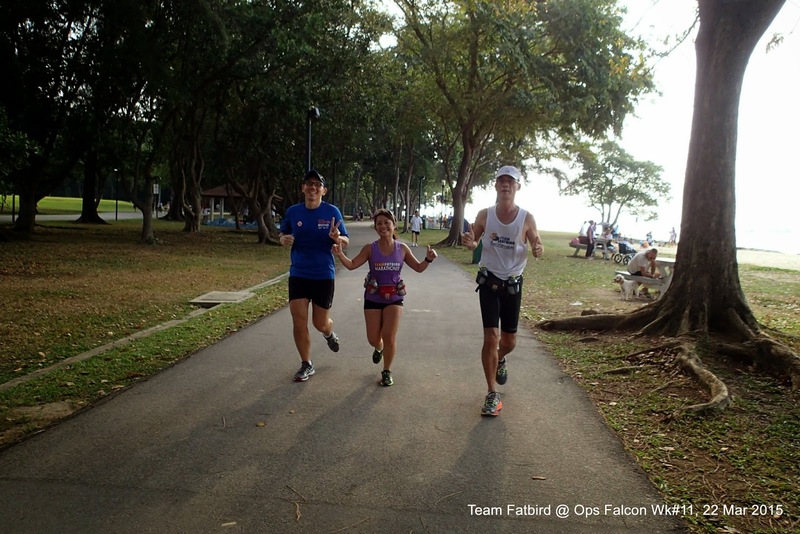 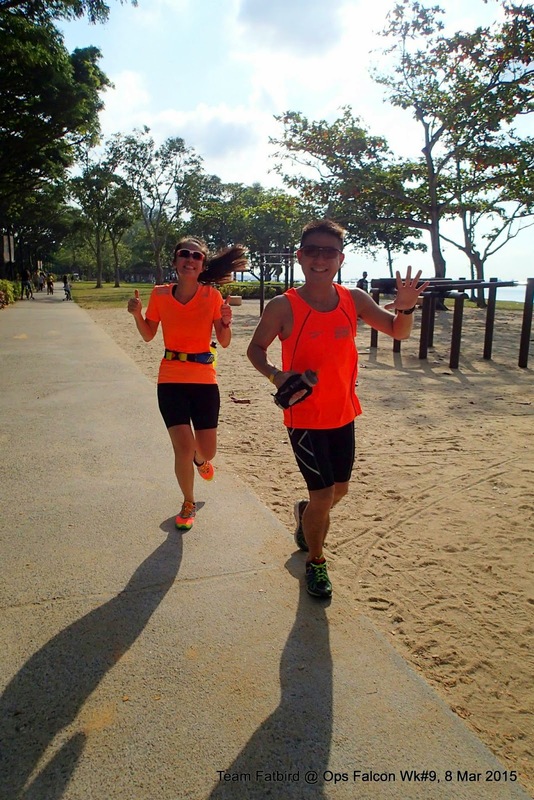 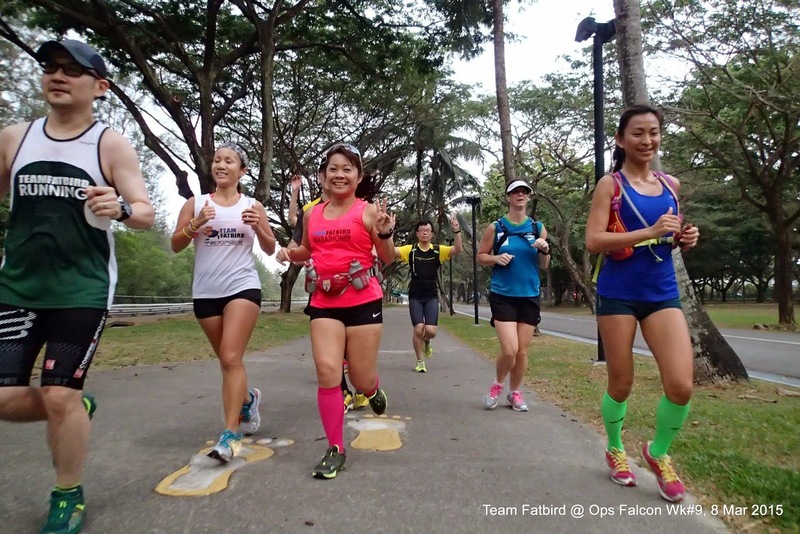 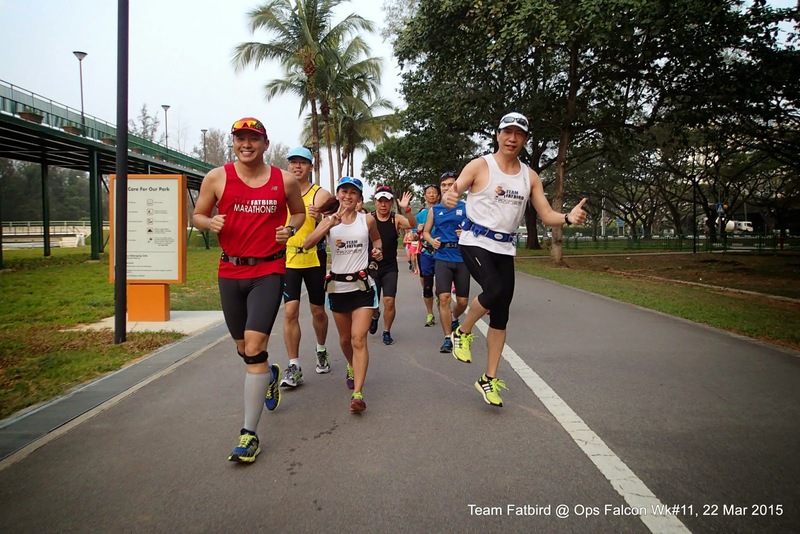 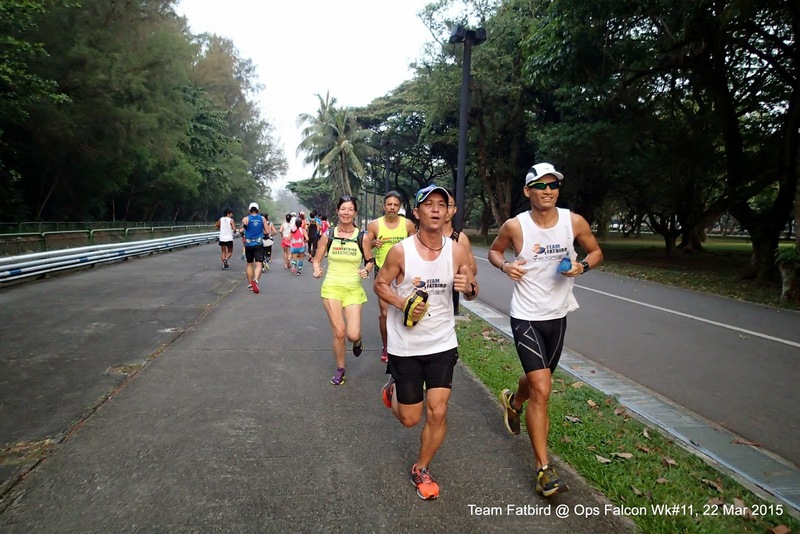 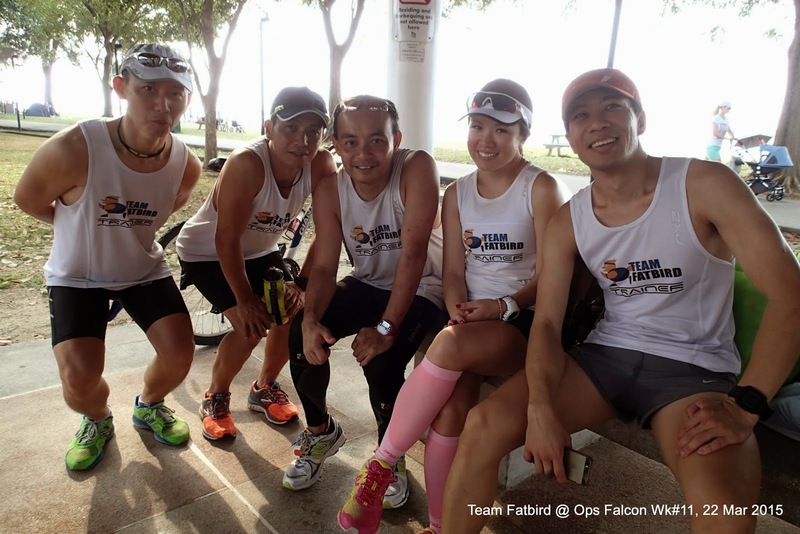 ++For details of FATBIRD RUNS, email training@teamfatbird.com or call 83283585. 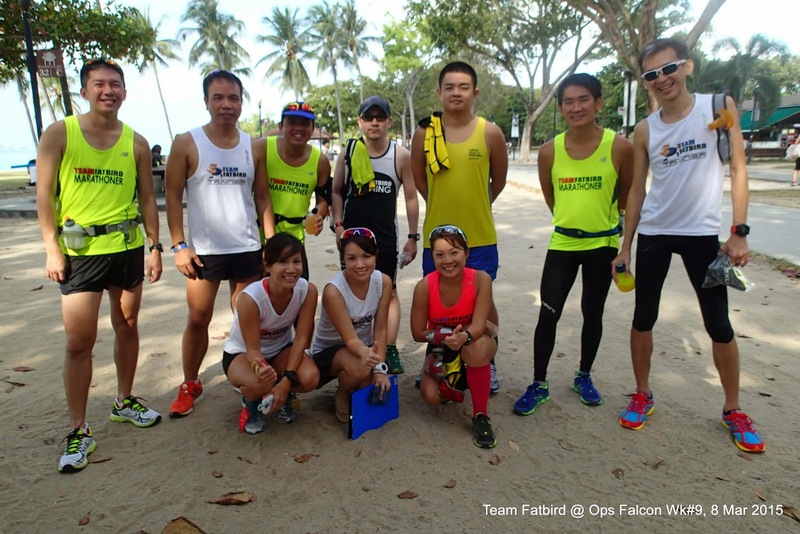 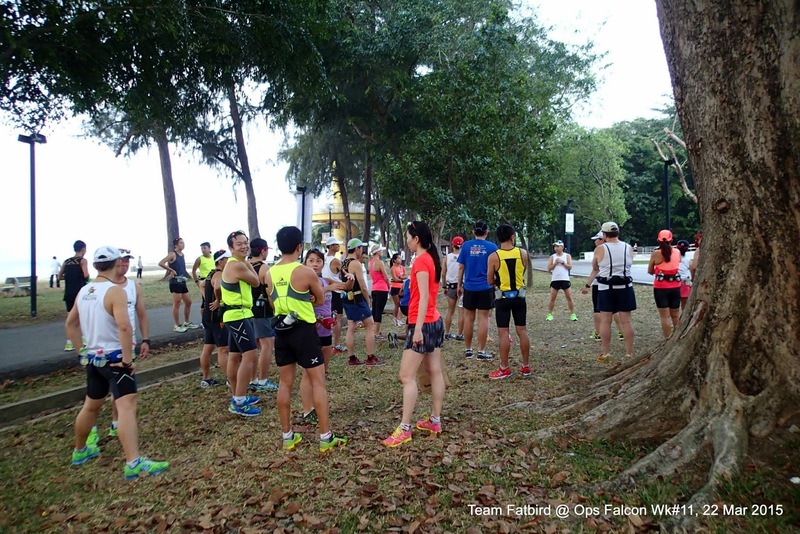 ADVISORY: You are responsible for yourself and your property for all Team FatBird run sessions. 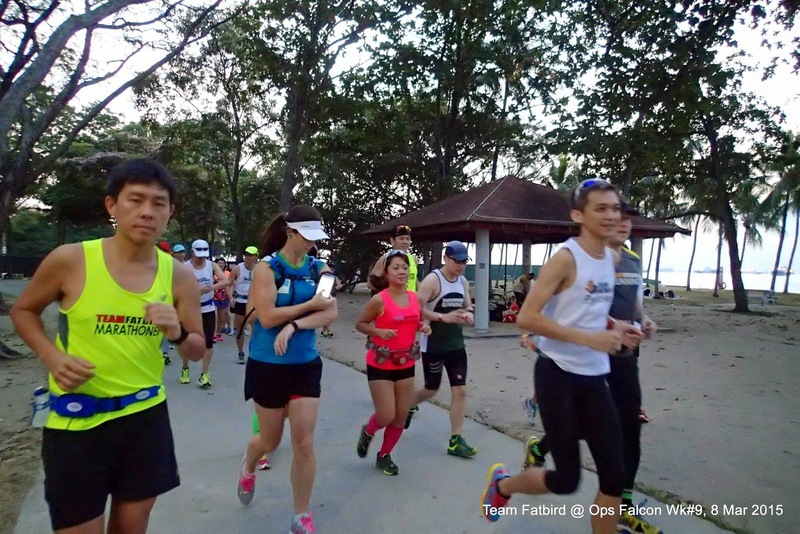 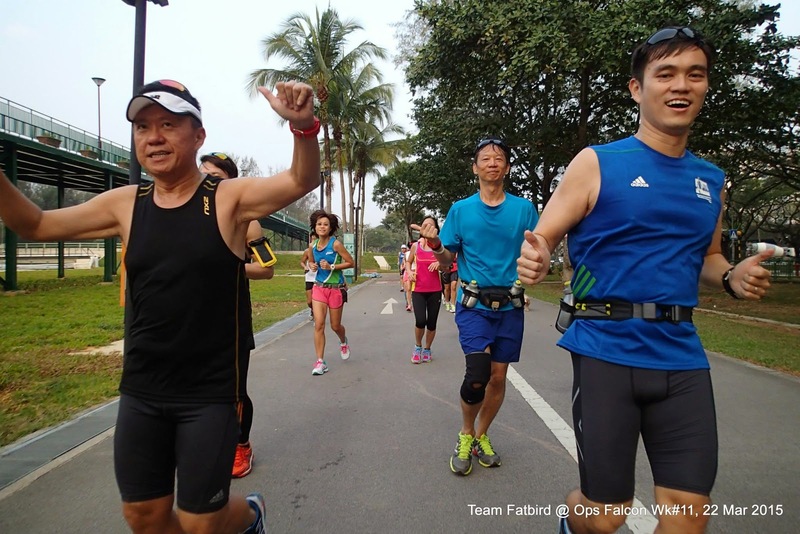 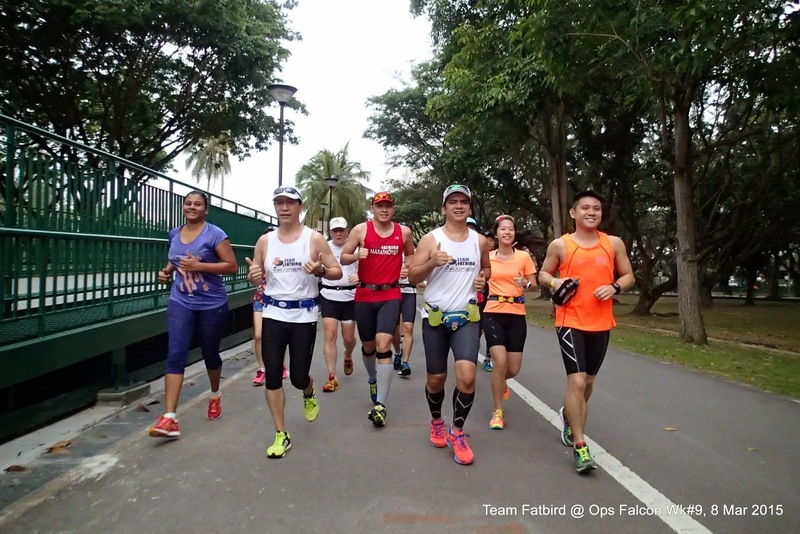 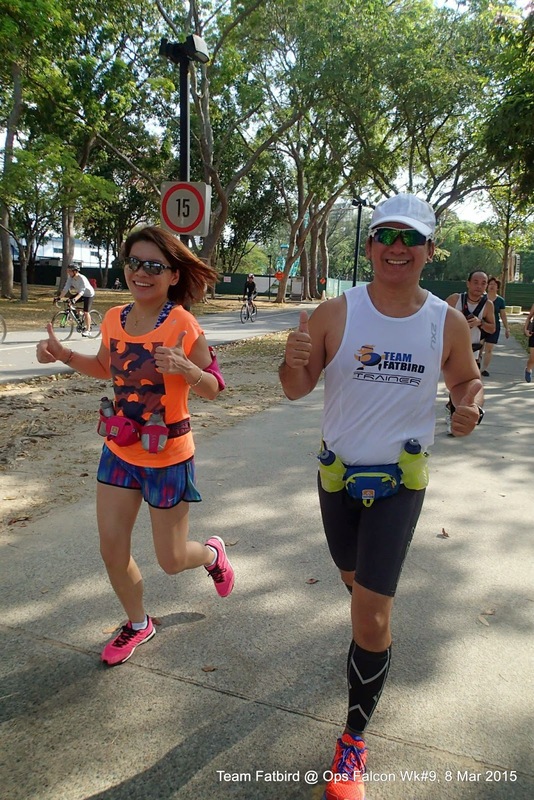 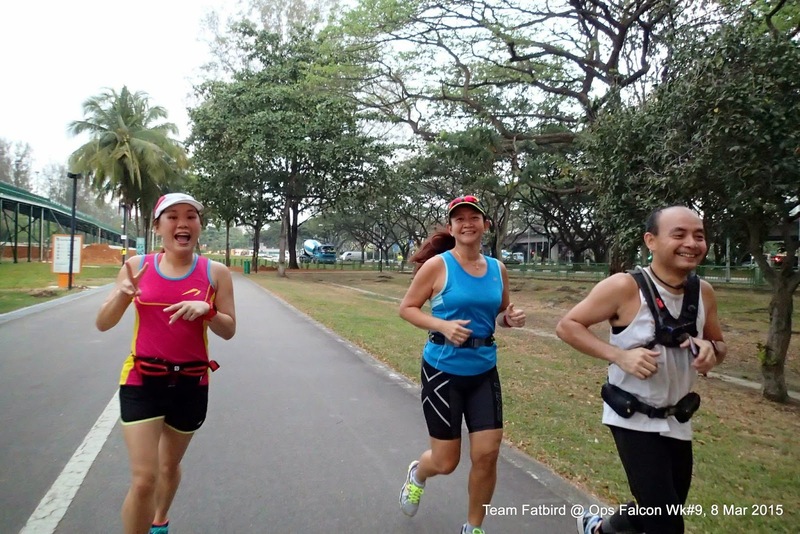 Team FatBird and its members shall not assume responsibility or liability for any loss of property, injury, damage, accidents, death during the runs. 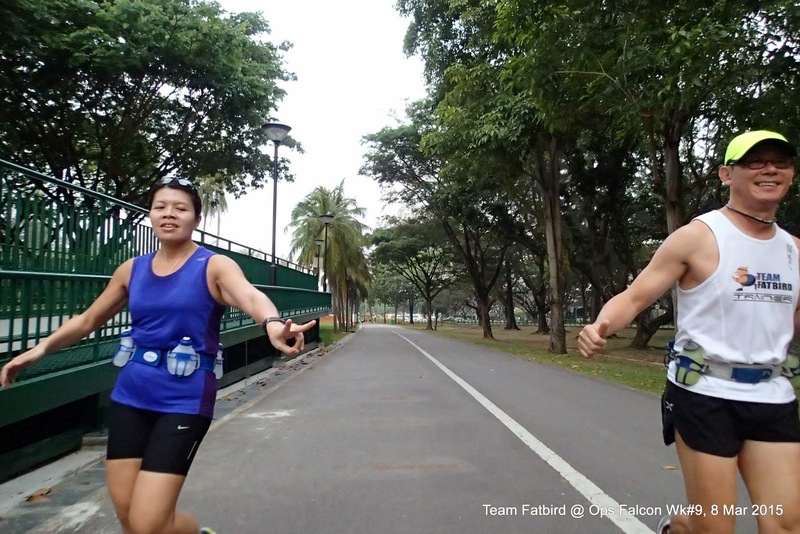 Email training@TeamFatBird.com for additional info on Training Programs and Runs. 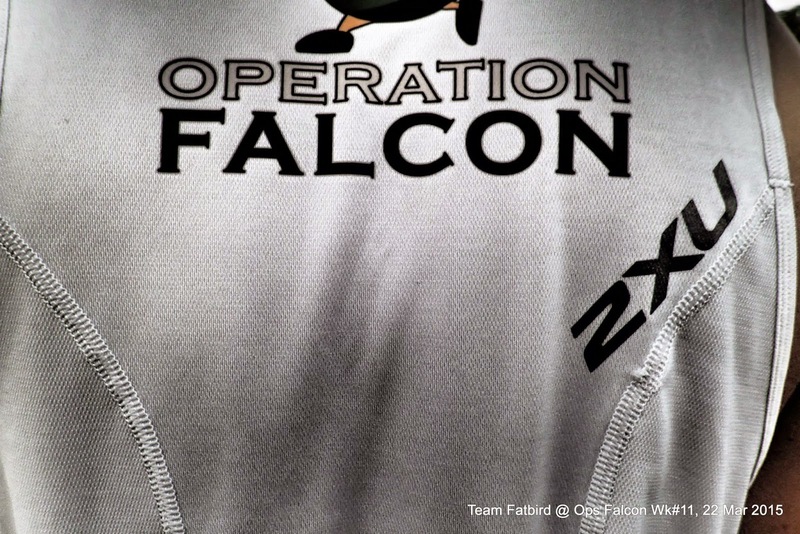 Parkland Green @ ECP provided the base for a fitting finale to Ops Falcon, where we congregated at the newest training location we will be using for many of our upcoming Ops Nighthawk marathon training sessions as well. 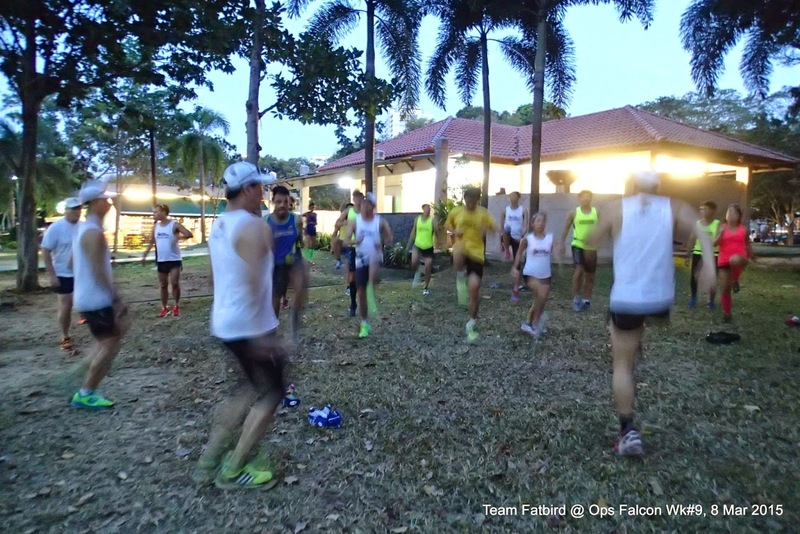 The Falcons turned up for their finale tune-up and preparatory pace run on time and in high spirits. 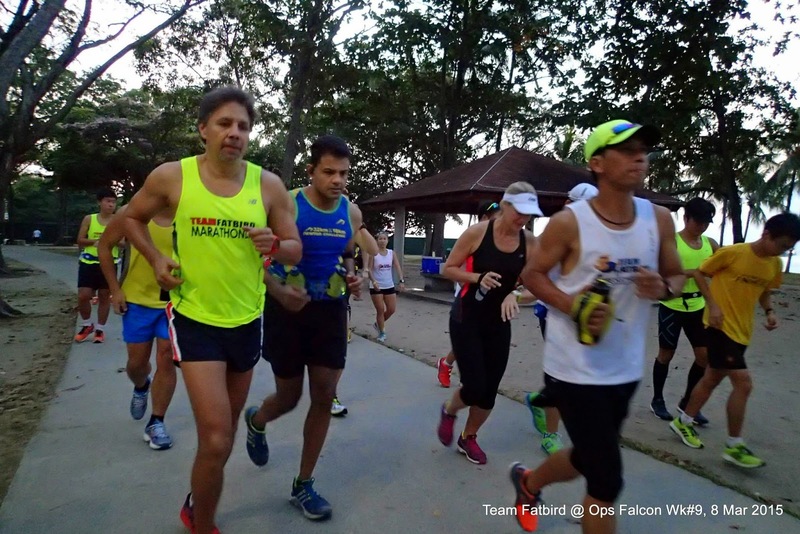 After going through their warm-up rituals individually, the groups got their tapering runs of 13km (HM) and 18km (FM) underway to cloudy skies. 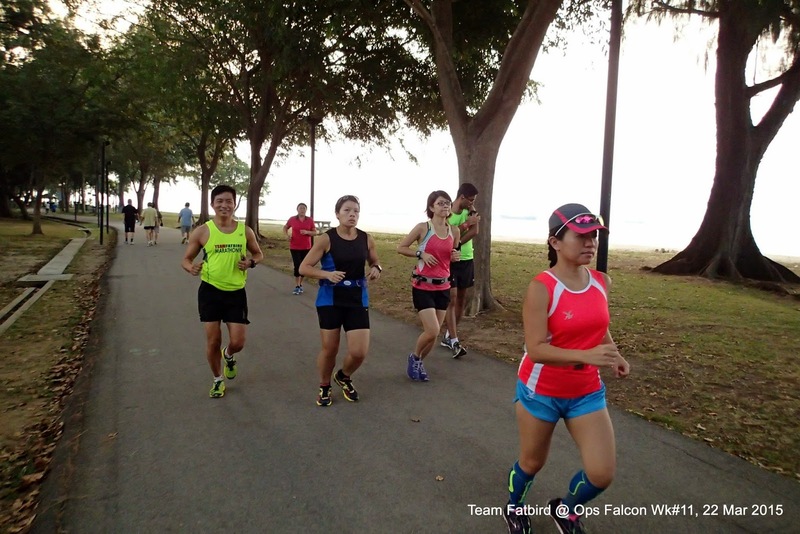 Although the sun was blocked by the mild haze, the air was warm and humid, adding in a slight bit of challenge for the conditioned Falcons. 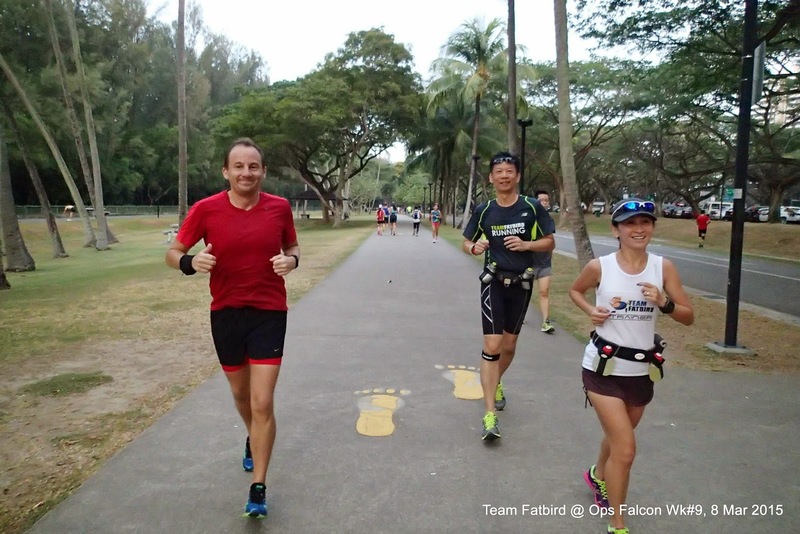 Final tests of shoes, equipment and hydration/nutrition plans for race day were executed while maintaining optimal pace throughout the tapering distances mandated. 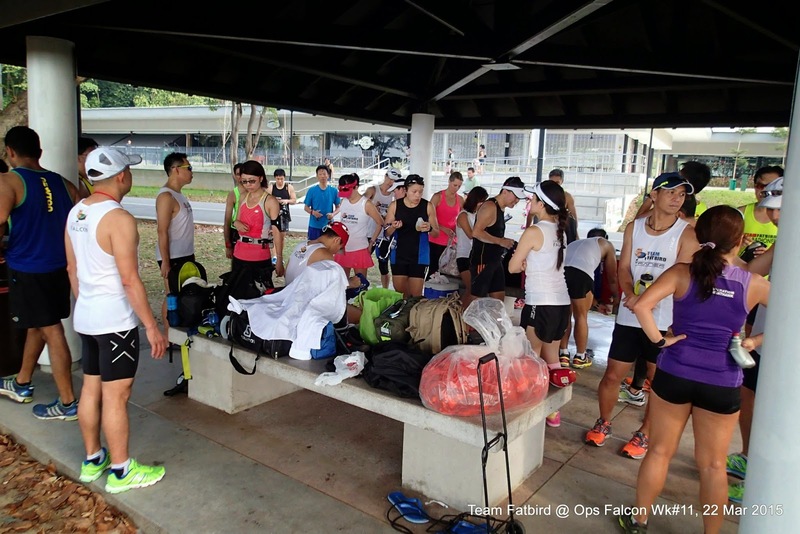 A few Falcons returning from injury and flu were also putting in runs according to their adjusted goals and paces – although they might not be in the best condition to fulfill their original objectives, these Falcons still hoped to do their bests for their respective revised targets. 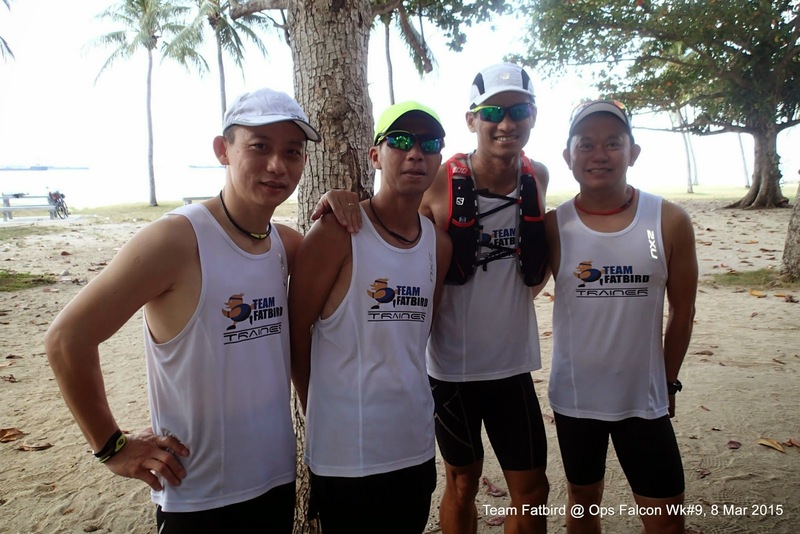 It was smooth sailing for most of the groups who completed their requirement in good form. 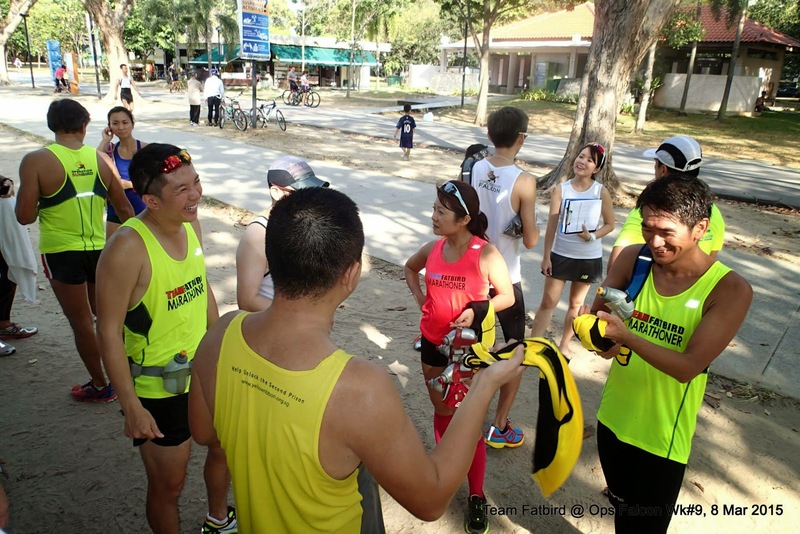 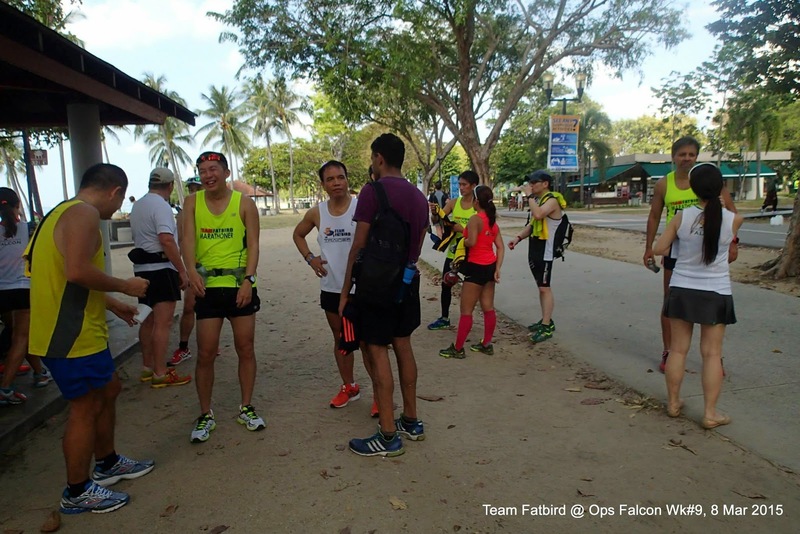 During the debrief, advice was dispensed to the Falcons who have had tightening muscles to do more stretching and myofascial massages to get their running muscles more supple and in shape for the race. 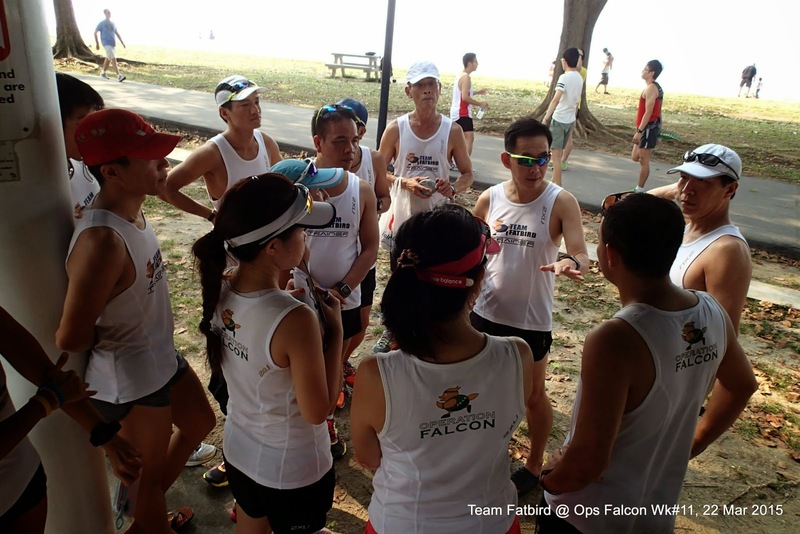 The 11 weeks of training have seen many Falcon trainees grown from strength to strength as well as being more matured in terms of handling their efforts and paces to meet their desired race outcomes. 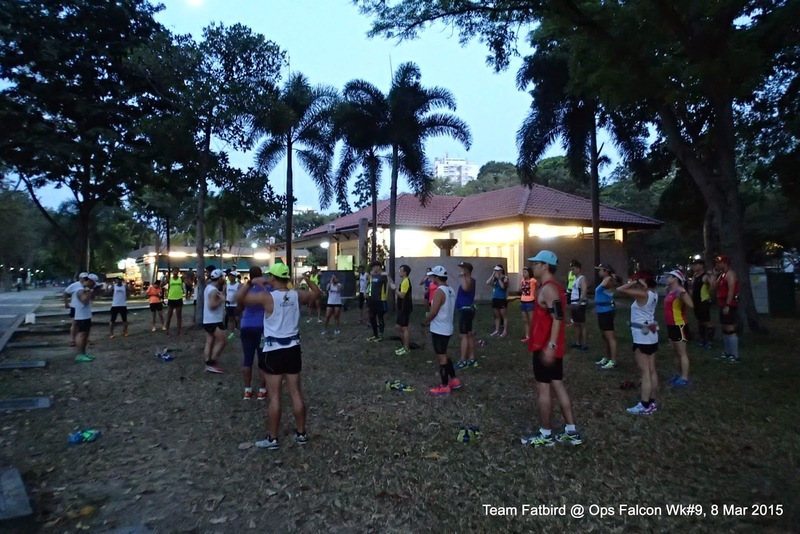 It was a pleasure for Team FatBird trainers and pacers to have provided guidance to such a committed ad dedicated flock. 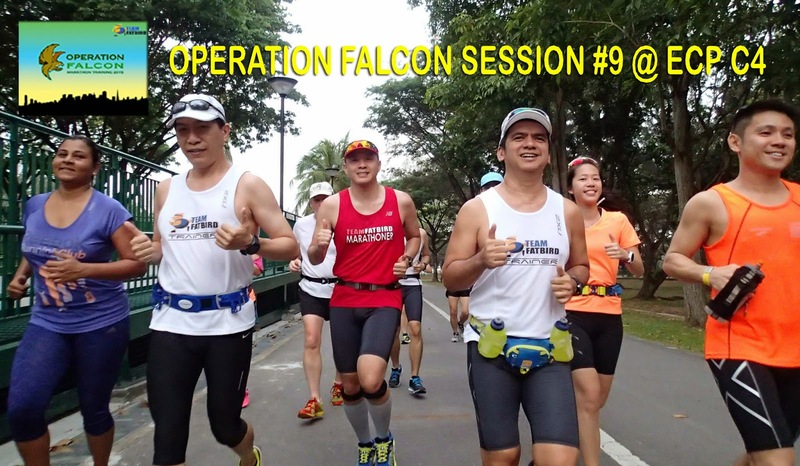 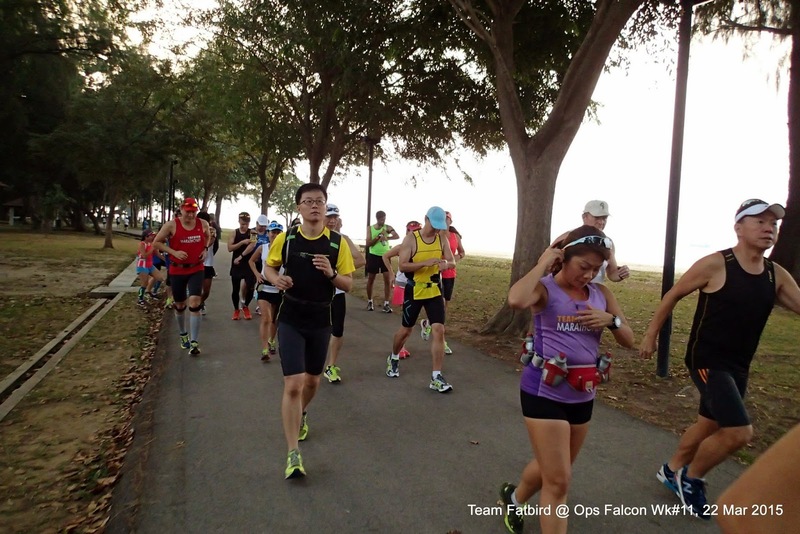 We are confident that each and every Falcon will fly with confidence and pride come Sunday 29 March to achieve the best results their structured marathon training have positioned them to be. 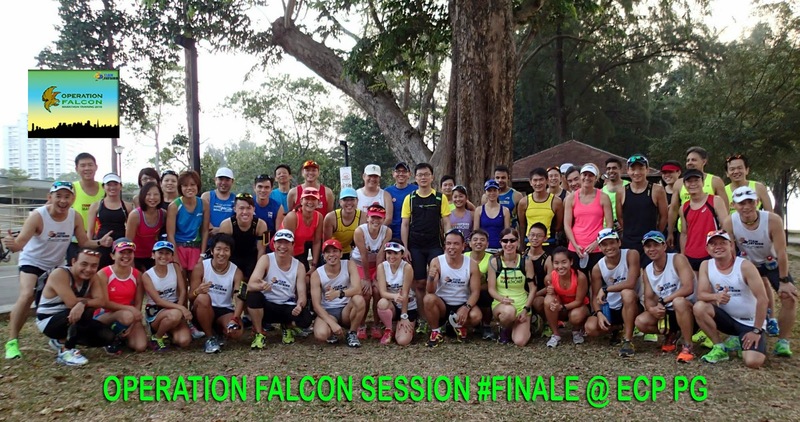 The Falcons Are Poised For A 2XU Performance!